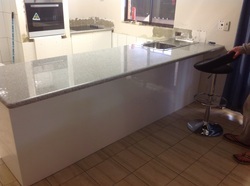 We now do Kit Kitchens which are perfect for the Investment properties that need a "pick me up!" Start to the new financial year. It&apos;s hard to believe another year has flown by and we have been extremely busy! What&apos;s been great is that a majority of our jobs from the last financial year, have come from referrals, can&apos;t ask for better than that! July is booked solid, August has a couple of slots available and the same with September, so if your looking at getting your bathroom renovated, contact us today either by calling or use our quote appointment form and we will do our best to slot you a quote time in. The ABR Team strive to provide excellent service and quality of work for a mid range price. 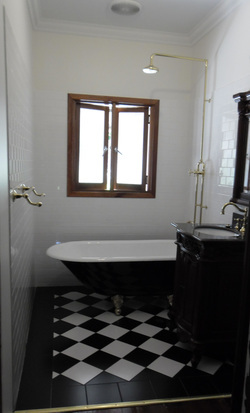 Turning an old and dreary bathroom into a modern and beautiful bathroom, is a pleasure for the team and we do our utmost best to give you a million dollar job! We have been so busy this year and really appreciate the business and kind endorsements given to us :) If you are ready to have your Bathroom/Laundry/Ensuite/Kitchen renovated for Christmas, then give us a call to book your FREE quote but hurry, as August is booked and there are only a couple of openings left in September!